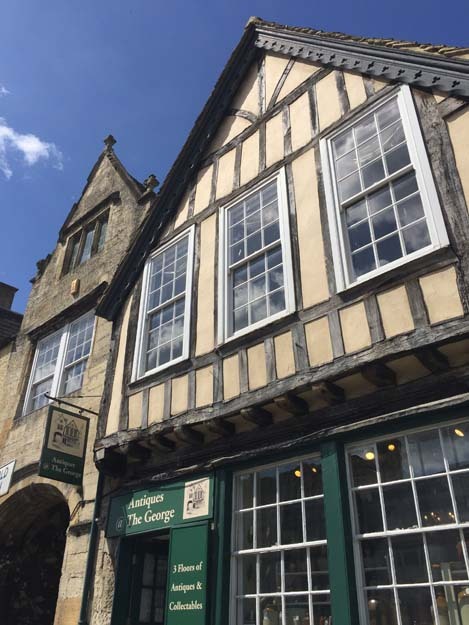 Our Award-winning Antiques Centre established in 1992, is set in a beautifully refurbished Cotswold coaching inn on Burford High Street. The inn dates back to the 14th/15th Century with historical links to Charles II, Nell Gwynn and Samuel Pepys (whose graffiti is preserved etched onto an old window panel!). You can read the amazing history here. Our fascinating Antiques Centre offers you an opportunity to explore three floors of affordable antiques and specialist collectors items in a friendly and unhurried atmosphere. Our dealers take pride in offering a wide variety of stock at prices that are attractive to both dealers and collectors alike. There really is something for all tastes and every corner of the building offers new delights. If you are visiting from overseas, you will enjoy the sense of stepping back in time over five hundred years and can imagine what it might have been like in those days. Our local knowledge and contacts are shared with great pleasure and if you want any help with exploring the area or sorting out transport and shipping your purchases, we can point you in the right direction. We are a member of the Cotswolds Antiques Group and in the past have been voted ‘Best Antiques Shopping Street in Britain' and one of the ‘Top 50 Antiques Centres Nationwide’. We have also been featured in New York Times Travel Supplement. 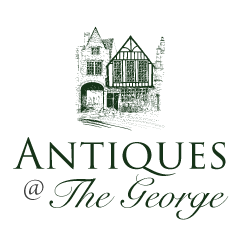 Site by MOJO - © Antiques at The George 2019.